As I aspire to join the noble profession of teaching law, it involves many years of education beyond the undergraduate level. I have been financially dependent on parents for more than 24 years, who also look after my maternal and paternal grandparents. Since the time my younger sister has enrolled for higher studies, I feel it an obligation to provide some financial relief to my parents who are looking after two generations. The financial assistance accorded through this esteemed Scholarship would assist me in becoming an independent person capable of contributing financially to my education. 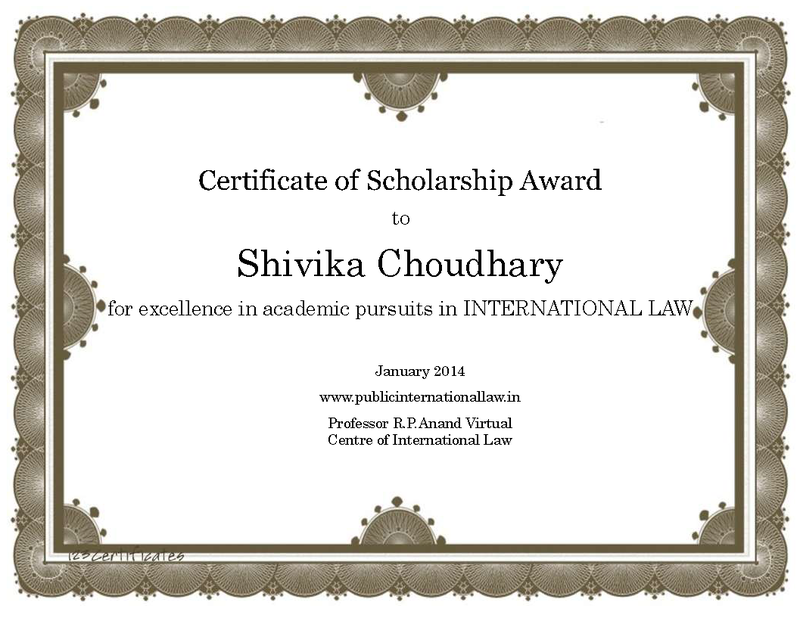 Further, the Prof. R. P. Anand International Law Scholarship is highly prestigious and distinguished. The competitive nature of the scholarship makes it an accomplishment in itself that would enhance my resume and help me advance on my career trajectory. I would be privileged to be accorded recognition by this renowned Scholarship which would be highly advantageous when I apply for further studies and employment opportunities. Your long term International Law career goals if any In these times of increased armed conflicts, I am intrigued by the manner in which international law can protect and implement human rights during conflict times where principles of distinction and proportionality are heavily challenged or diminished. I, therefore, aspire to pursue a doctorate in International Humanitarian Law to research on the same and contribute to the jurisprudence with the objective of reducing ambivalence that surrounds the evolving contours of international law. Thereafter, I am determined to become a member of the noble profession of teaching.